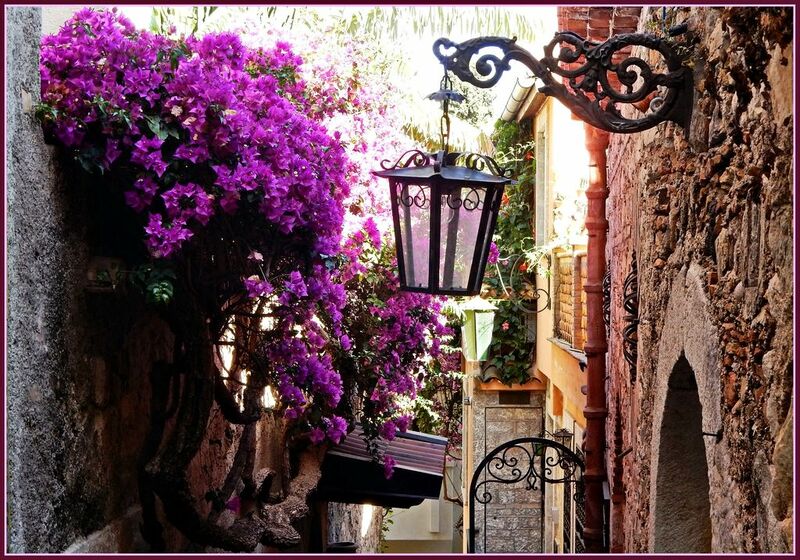 Antique structures located in Taormina are of huge historical value. The oldest building is the Greek Theater (Teatro Greco ). It was erected shortly after the founding of the first settlement, in the 3rd century BC. As it was found out by scientists, more than two thousand years ago on the site of the theater there was an impressive limestone mountain, which was literally moved by the locals before the construction began. During the reign of the Roman Empire, the theater was used as a venue for gladiatorial games. Being the second largest theater in Sicily, it can accommodate more than 10,000 spectators at one time. The Roman Odeon (Odeum), an architectural monument of a later period, has been preserved in the city. The miniature indoor theater can accommodate up to 200 people. In ancient times, structures of this kind were used for holding solemn events and musical performances. Another interesting Roman monument is the Naumachie (Naumahiya), a historic basin of impressive size that had been also used for gladiatorial fights. The basin's diameter is more than 120 meters, and the depth is about 5 meters. During the tour, in the wall, you can see nicely preserved niches that once contained statues. Another outstanding 15th-century monument is the Church of St. Augustine (San Agostino Church). The history of its appearance is very symbolic: during the early Middle Ages, the plague struck the city, and soon after its end local residents decided to build a beautiful Gothic church. The building existed in its original form until the beginning of the 18th century. During a large-scale reconstruction, the appearance of the church has changed significantly. Today, the beautiful building with preserved Gothic elements houses a city library. A true example of the Baroque style is the Church of St. Pancras named after the patron saint of Taormina. Built in the 16th century, it houses many unique frescoes. It is noteworthy that the church was built on the ruins of an ancient temple. The most curious travelers should definitely climb to the top of Mount Tauro and see the Sanctuary of Our Lady of the Rock (Madonna della Rocca ). It can be safely called the most unusual religious landmark - the Madonna della Rocca was carved right in the rock, its construction was completed in 1648. 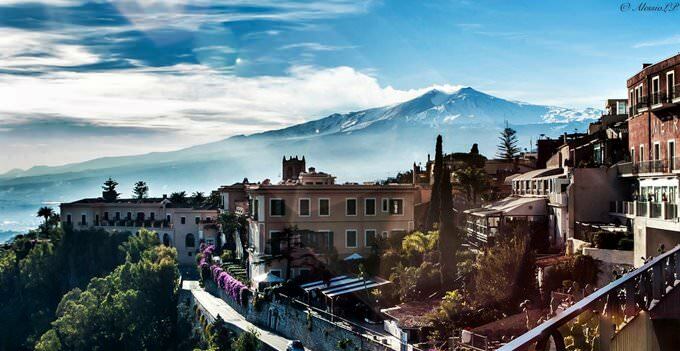 Taormina is also famous for its amazing architectural sights, there are many spectacular palaces and villas here. One of the most interesting of them is Corvaja Palace (Palazzo Corvaja ), whose appearance is an amazing mix of Byzantine, Arabic and Norman styles. Not less attractive is the Palace of the Dukes of Santo Stefano(Palazzo Duca di Santo Stefano ), whose age is more than 600 years. At present, the completely restored palace is used for holding cultural events, and some of its premises are converted into a museum acquainting visitors with the work of the great sculptor Giuseppe Mazzullo. 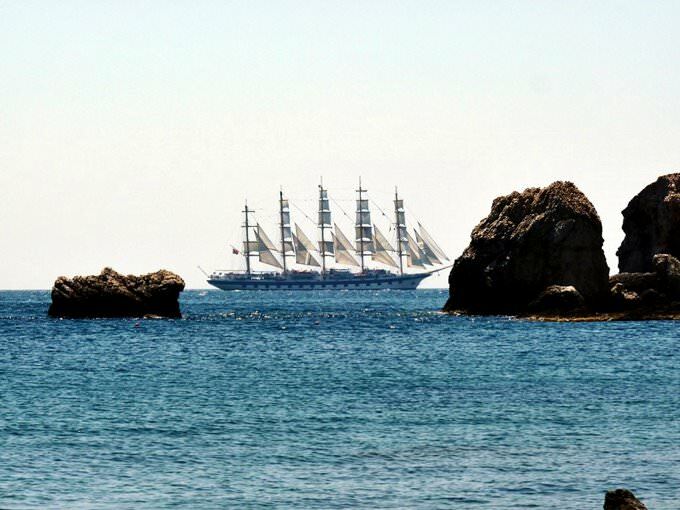 In the section below, you can get one of our excursion, activities or city discovery tours over Taormina and surroundings. Our website offers 10-30% lower ticket prices, when compared to the offline purchase on the spot. This guide to cultural sights Taormina is protected by the copyright law. You can re-publish this content with mandatory attribution: direct and active hyperlink to www.orangesmile.com. Culture guide to Taormina. Which fascinating sights to visit once you are in Taormina: temples, churches, museums, theaters and castles. Recommendations (with addresses, phone numbers and links) on the places 'must visit' in Taormina. Plan your own city excursion by using this page info!